We are the manufacturer of irregular plastic ferrite magent,irregular flexible plastic ferrite bonded magnet,plastic injection ferrite magnets,injection plastic ferrite magnets and others . Ferrite Magnets injected, Ferrite magnet with plastic are manufactured according to ISO9001 quality system with high quality and competitive prices. 1. Certification: The products are manufactured according to ISO9001 quality system. 5. Applications: Used in different applications, such as motors, cleaning machines, medical equipment, toys, decorative magnets and so on. Injection Ferrite Magnets has been presented above, want more similar products, please click Ferrite Magnets injected Ferrite magnet with plastic. If you are interested in our injection plastic ferrite magnet,please contact us. We manufacture injection irregular plastic ferrite magnet rotor,injected ferrite magnet rotor,irregular flexible plastic ferrite magnet,injection plastic ferrite magnet and so on. 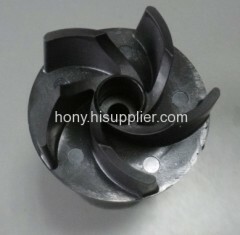 injection irregular plastic ferrite magnet rotor has been presented above, want more similar products, please click injected ferrite magnet rotor,irregular flexible plastic ferrite magnet,injection plastic ferrite magnet.